When I was weaning Munchkin I did use jarred baby food but options were limited as they were not halal. There was some halal baby food in jars back then but the flavours were limited and Munchkin did not like them. When I weaned Bee the majority of her food I prepared myself and kept a few jars and pouches in the house for when we went out or I hadn’t had time to make anything. Again the variety was limited due to there again being no halal products. 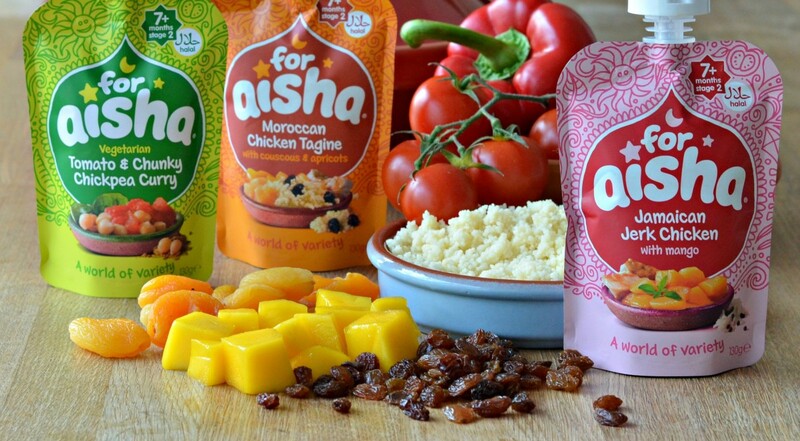 Now ‘For Aisha’ has launched the UK’s first halal baby food in pouches. 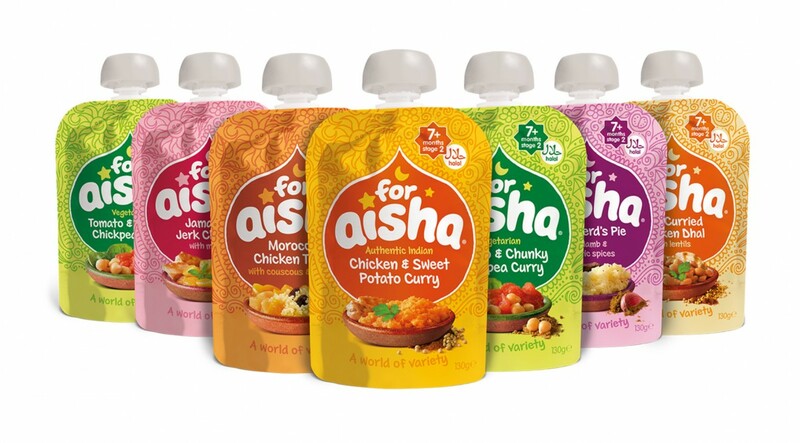 for aisha, a new Halal baby food company, has just launched their new range of baby food pouches, specially formulated for babies from 7 months onwards. The nutrient dense protein dishes, packed with healthy wholesome ingredients, are an excellent source of iron and essential fatty acids that are vital for little ones. Made from the finest certified Halal meat, crammed with natural goodness, the pouches are available in six scrumptious flavours from around the world – Moroccan Chicken Tagine with Couscous and Apricots, Shepherd’s Pie with Lamb and Aromatic Spices, Authentic Indian Chicken and Sweet Potato Curry, Mild Curried Chicken Dhal made with Lentils, Jamaican Jerk Chicken with Mango and a Vegetarian Tomato and Chunky Chickpea Curry. “The wide range of herbs, spices and ingredients will enhance the taste, texture and goodness of the food. 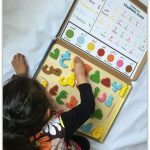 This delicious combination of new foods from different cultures are guaranteed to incentivise little ones to develop healthy eating habits and expand their taste buds. “ says Sajida Manzoor, Registered dietitian Bsc, Msc Advanced Nutrition. “Muslim parents in particular find it difficult to find suitable halal meat food products that will not compromise their religious beliefs. They become reliant on vegetarian or dessert options and this lack of choice can often lead to infants to miss out on essential vitamin D and iron found in meat based products” adds Sajida. The brand new pouches contain no preservatives, artificial flavours or colours and have been tested for quality and nutrition by a registered dietitian. for aisha baby food in a pouch is a convenient, delicious and trusted new way to broaden babies taste palates for both muslim and non-muslim families. For a review of the pouches pop on over to Halal Mama for her review of ‘For Aisha’. For Aisha have been kind enough to offer one of my readers a complete range of the pouches. To win you simply need to complete the rafflecopter form below. Winner will be chosen at random and will be contacted with 48 hours of the giveaway ending. You then will have 28 days to respond before another winner is chosen. This is a sponsored post as per my disclosure policy. I never knew, there was hala baby food on the market. Is it only available in the u.k or would I be able to get it in the us as well? For my friends baby due this week. My nephew as my youngest is now too old. Brilliant idea, wish it existed few years ago. If I win, this will be for my baby boy Liam. They will go to my sister for her first child. 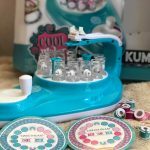 for my daughter, who absolutely loves trying new flavours. today, she attempted my homemade onion bhaji but decided against it! i’ll try again tomorrow! 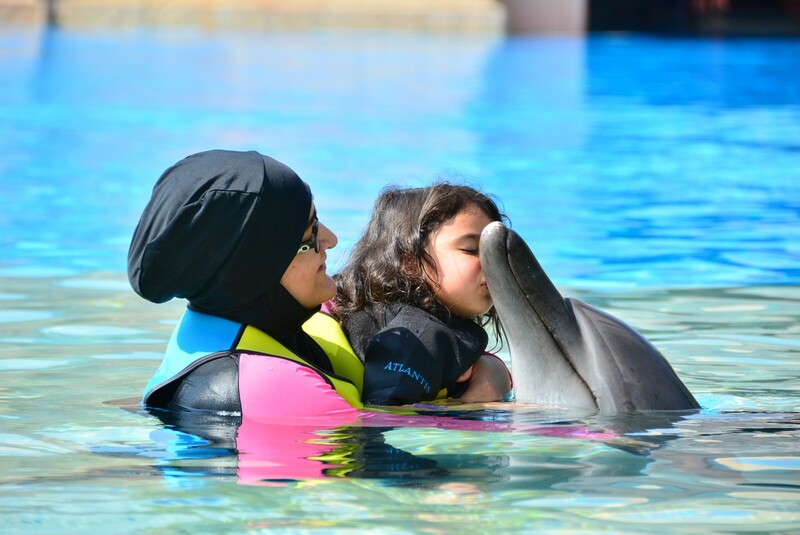 For my daughter, Maryam .Wow, I remember going to supermarkets and selecting jars of veg food.